87 E San Fernando St. Introducing the “Hennchata,” a grown-up version of a classic Mexican beverage that has proven to be a hit in one California restaurant. It all started at Chacho’s Mexican Restaurant in San Jose, CA. Owner Jorge Sanchez was looking to create a cocktail that would remain traditional to the Mexican culture but also reach the rapidly growing bilingual, bicultural hipster generation. Naturally, Horchata, a popular sweet non-alcoholic Mexican drink created with a mix of rice and water, became the topic of discussion. Thinking of a liquor that could seamlessly blend with the sweet notes of traditional Mexican Horchata, the team immediately thought Hennessy V.S was a very natural tie-in for its flavor profile. Since launching their specialty cocktail in February, the “Hennchata” is now outrageously popular. The cocktail now trumps all other drinks that Chacho’s serves, with an average of 85 Hennchatas made per day. 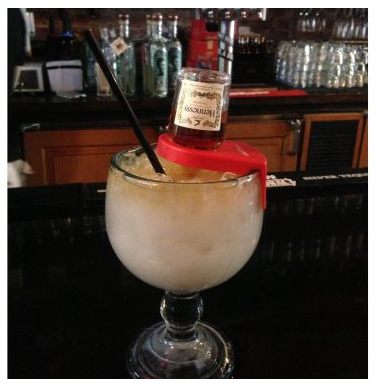 Thanks to this success, Chacho’s has also become the highest volume Hennessy V.S account in North California for 2013. At this time last year, the account had purchased just 1.08 cases of the liquor. Today, they have purchased 48.91 cases and are on track to purchase an additional 112 cases of Hennessy V.S this year. For those who are looking to try the Hennchata but can’t make the trip to California, Chacho’s is sharing their recipe with Fox News Latino. Simply mix 1.5 oz Hennessy V.S. (50ml bottle) with 4 oz Horchata; pour the mix into a glass with ice and enjoy!